The Silambam Houston Dance Company is the performing wing of Silambam Houston. Comprised of stellar performers trained to professional level in various Indian classical dance forms, the Company represents the fruition of collective decades of effort and dedication. In addition to the full-length works listed on this page, SHDC performs mixed rep works of various themes and lengths, tailored to the audience and presenter. A confluence of poetry, dance, and music that explores the universality of human sentiment. 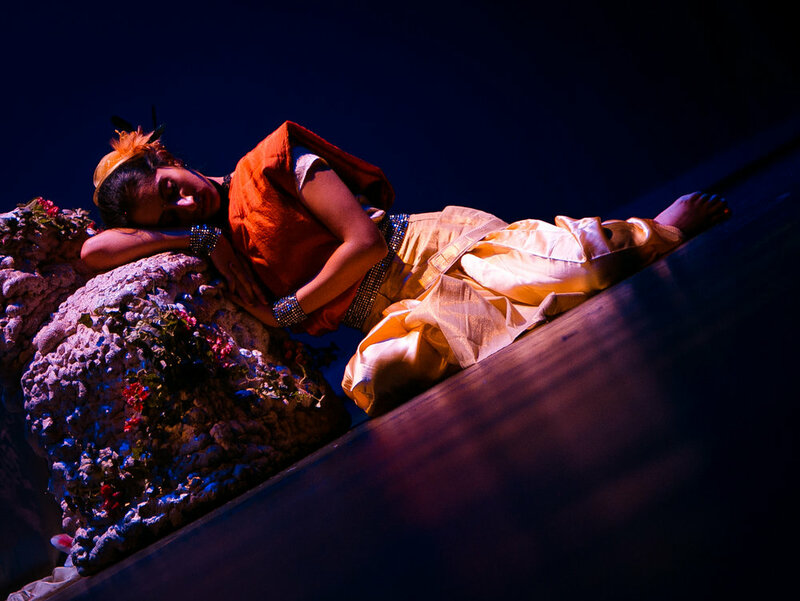 An Indian classical dance theater adaptation of the Shakespearean classic. A fresh look at a timeless and romantic hero of Indian mythology. An Indian classical dance experience that explores the concepts of Shiva, Natya (dance) and Laya (rhythm). One woman’s journey, viewed through the lens of the changing seasons.